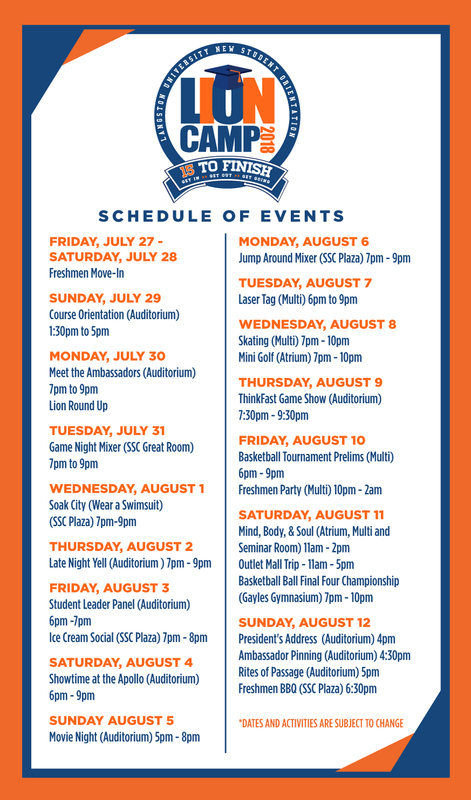 Lion Camp is the best possible way to get a head start at LU! Lion Camp will be held July 27 - August 12, 2018. This is a time for new Langston students to come to campus, meet fellow Lions and begin their academic and co-curricular experience. 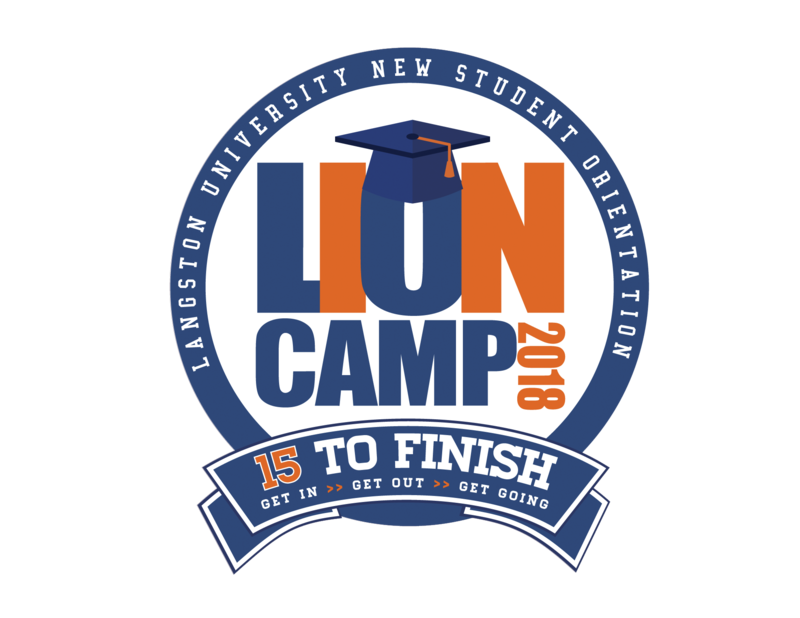 The purpose of Lion Camp is to make your transition to college life as smooth and enjoyable as possible while integrating you and your family into the Langston University community. Students who attend Lion Camp consistently go on to be campus leaders and have fulfilling experiences at the University. Our staff is made up of outstanding campus leaders that will be your guides to getting involved, finding your way on campus, and easing your transition into college life. Check your student account at my.langston.edu. *Learn how to set up your student account and access your emails!